Well Said. My card features a panel of wild flowers that were cropped from the Well Written Framelits Dies that coordinate with the sentiment from the Well Said stamp set. Good news! They are available in Stampin’ Up!’s 2019 Occasions Catalog as a bundle with a 10% savings. Here’s a look at the Well Said Bundle: Even with the 10% savings from the bundle, it’s a pricey bundle, but I promise it’s well-worth the expense. Just look at all those sayings and dies! Also, if you order this bundle before March 31, you automatically earn a Sale-a-Bration item and are close to earning two (or cashing in on a $100 level item). How’s that for awesome?! The sketch for this week’s challenge includes nine hearts. While I didn’t use hearts, I added nine flowers on my design. The nine images aren’t necessary (you can edit a sketch however you want), but it was fun to incorporate that element of the sketch design. 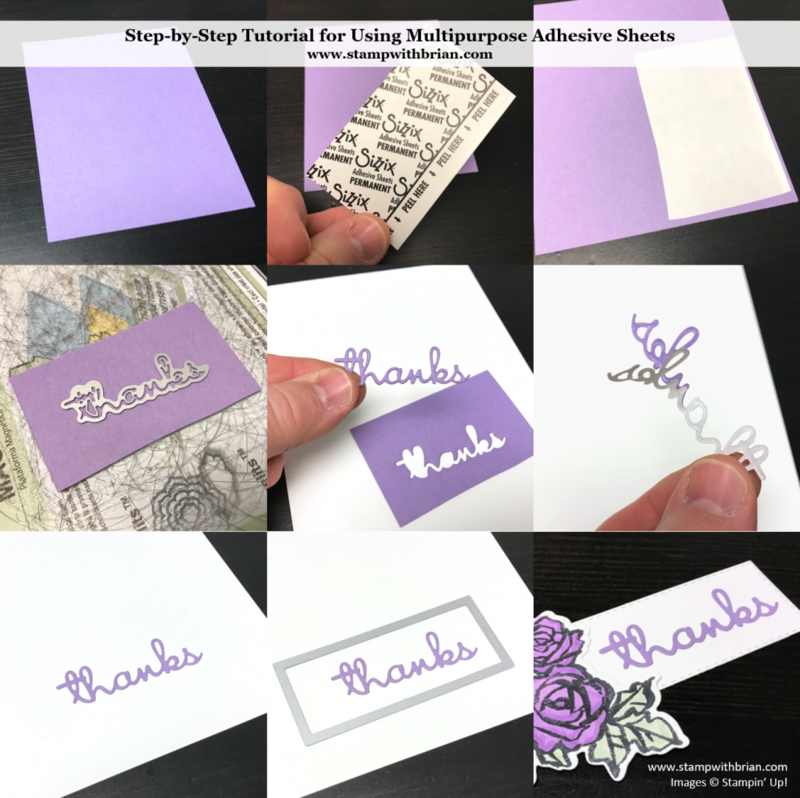 Last week, I shared a step-by-step tutorial for using the Multipurpose Adhesive Sheets to glue down sentiments or images from the Well Said Bundle. Click on the picture above to read that entire post. Don’t let Sale-a-Bration slip away before you earn all the great rewards you want! There are lots of great Sale-a-Bration offerings, and I’ll be re-sharing those this week. March 31 (next Sunday) is the last day to earn free products or to take advantage of the amazing join promotions! If you have questions, please email me today. I’m glad it’s spring somewhere! Sweet card, Brian. love your take on that design with the flowers instead of the hearts. would never have thought of that color combo. but it screams spring and I need that today with a high only in the 30’s and 20’s tonight. your card warms me up. I want to say so badly…WELCOME SPRING!!! lol… to the contrary Brian. you brought joy to my world today with your work of art. The Spring happiness just spilled all over this pretty card. Love every single little part of this card. Thanks so much, Kadie! ♥ Once it spilled out, it was everywhere. Great spring card, Brian. Love the two DSPs and the pretty bright flowers. It was nice here yesterday but not warm enough to have the door open. Have a wonderful day! Spring is here too and your card welcomes it so nicely! Love your color combination, think I have to go CASe the combo! 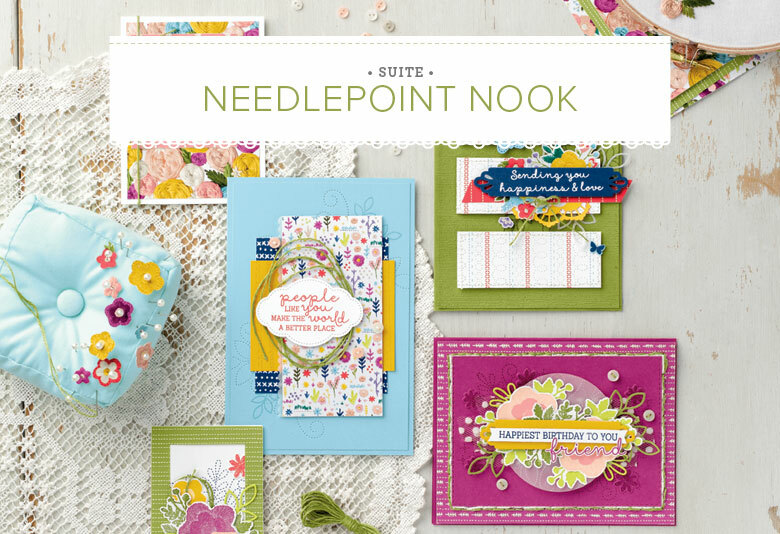 Great mix of the DSP and perfect for this layout…love the flowers(that you did not have to stamp)! What a luscious spring garden! Pretty color choices and sweet layout! I have this bundle and have already gotten my monies worth. I love having the word dies and the ease with which they die cut. Yeah! It’s now one of my go to sets for sure. Beautiful card today and yes, I too love your color combination. Spring is definitely here in mid coast Maine. We still have snow but it’s disappearing at a pretty good rate. I’m so happy Spring has arrived in your area. You can tell it in your card with all the bright cheeriness ! Thanks so much, Diane! I’m happy to share and grateful for your kind comments! Well Brian, it’s officially Spring but not up here yet, it’s still very cold and I think the little flowers are kind of afraid to peek out of the ground. But your sweet card serves as a reminder of what’s hopefully coming soon, beautiful flowers, lots of color and warmth. Beautiful layering as always, awesome papers and design.